Members of Taw Velo cycling club took part in a range of cycling events at the weekend. Greorge tells us about his summer. 13 riders from Taw Velo made their way to Ilton on Saturday morning to take part in the 1st Chard Wheelers Youth Stage Race. Clubs and riders from around the South West area had a day of grueling challenges. The overall event had over 70 riders taking part, with Taw Velo's latest recruit Morgan Wilson age 6 being the youngest rider there. The Taw Velo Cycling Club youth team aimed high at Sundays Tesco's race. The squad, fuelled by the morning's Easter eggs, put on a sterling performance and managed to secure four places on the podium. 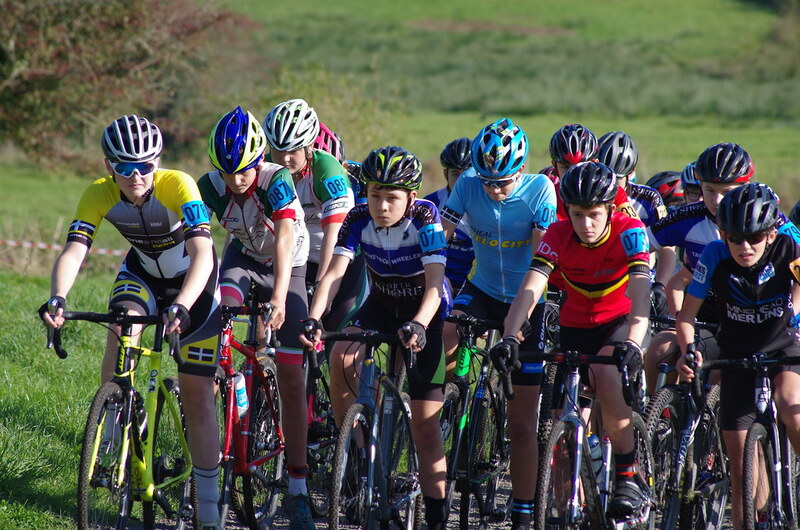 The storms from earlier in the day had started to clear away as riders arrived for the opening round of the North Devon Wheelers Tour of Tesco Youth Series on Sunday, 29th March. Riders from the South West ventured up to Sherwood Forest to compete in the first round of the National MTB Cross-country Series competition hosted by British Cycling. The event, held over the weekend, was attend by over 600 riders from across the UK representing both local clubs and even national teams from Portugal, Holland and Belgium. The course run over 5 kilometres was mainly flat with some tight section in the trees, meaning riders would have to choose carefully when to overtake. The weather played a big part in the race as continuous rain meant the track became muddier and riders had a difficult time remaining up right and keeping warm. George Armstrong from Taw Velo Bike It lined up with over 60 riders in the Youth race. Covering 4 laps, George found himself in the same race as the National Champion, Daniel Tulett of Specialized Racing, who dominated the race straight from the start. The tough conditions challenged all the skills of riders and George finished a respectable 38 overall out of 64 starters. Fellow rider Gabriel Cox from Certini pushed himself to the max and finished 23 overall. Southfork had 2 riders in the longer 5 lap race, reduced from 6 due to the appalling weather conditions. Over a 100 riders lined up in the Elite, Junior and Expert male categories, 88 riders started in the Expert race with Southfork being represented by Matthew Loake and Edward Worthington. Both riders has a tough race battling through the large volume of riders. The course became slippy with mud being thrown up from other riders wheels this meant seeing was also becoming a challenge. Both riders made excellent progress through the field with Edward finishing 23rd and Matthew 30th. The next round of the National MTB Cross-country Series heads to Plymouth for a 3-day event, starting on Friday 17th April with a moonlit race. Sunday, 8th March witnessed the final round of the Soggy Bottom XC Series and thus treated riders to a very wet and muddy course. After a few days of rain and a cold spell, the final race series started with the under 13s race. Problems for the young riders started straight from the off, with a pile up on the first corner, meaning that some of the potential hopefuls had a much harder task of moving up the leader board. Young riders Chuck Harmer, Malo Montepetit-Lebrun and Ethan Jones made effective use of the crash and managed to create a strong lead. All three riders rode very aggressively for the 20 minute race, managing to lap some of the younger riders. Eventually Malo was able to take the win, just ahead of Ethan (2nd) and Chuck (3rd). Fellow Taw Velo riders Ben Rowell (6th), Charlie Tompkins (7th) and Edward Armstrong (11th) could not regain the ground lost from the start. The under 13s team was able to secure 3 of the top 5 places in the overall series with Chuck 3rd, Ben 4th and Edward 5th. Charlie finished 8th in the overall race series. The under 10s race was also dominated by Taw Velo youth riders. Louis Garnsworthy, who was also caught up in the fall at the first corner, was able to secure 3rd place in the Under 10s boys race, along with Fin Mead in 5th place. Overall standings, despite the wet weather, allowed Louis to remain at the top position in the series, with Fin coming in 3rd. Max Standen, who was away racing at the Manchester arena on the weekend, managed 9th overall in the series. The under 10s girls race was once again was won by Ellen Garnsworthy. After a tough battle with new rider Alisha Mccartney, Ellen was able to stay ahead of her and secure 1st place for the overall series win as well. The morning's rain meant that the youth race, which also included Elite, Expert, Juvenile and Sport categories, would test both endurance and skill of the riders. Approx. 90 riders set off from under starters orders, all heading for the first corner and a very tricky climb up a very slippery ascent. Luke Eggor and Matt Loake from Southfork Racing both managed an excellent start and were able to demonstrate their skill over some very tricky descents, which tested even the most experienced riders. Although there was no river crossings in the 2.7 mile course, the mud and standing water made sure that all riders were very wet and muddy throughout the race. The sport male category was won by Tom Holland from Westcoast MTB, Southfork riders who also finished the race included Ed Welsh (11th). The youth race, which involved two and a half laps of the main circuit, also had a challenge for the title position. Gabriel Cox from Certini rode very strong during the race and was able to challenge some of the Elite male riders for the top placings. Overall series win was held by Gabriel, George Armstrong from Taw Velo was able to secure 3rd place on the day, which meant overall he would be 2nd in the series. Next up was the large field consisting of Grand Vet, Vet and Fun categories. The course was now very slippy in places and the steep descents made harder with exposed tree roots, could only mean that falling off would become part of the course. Riders who managed to sprint into the first corner would be able to take advantage of having less traffic to get through and loss of traction due to volume of riders. 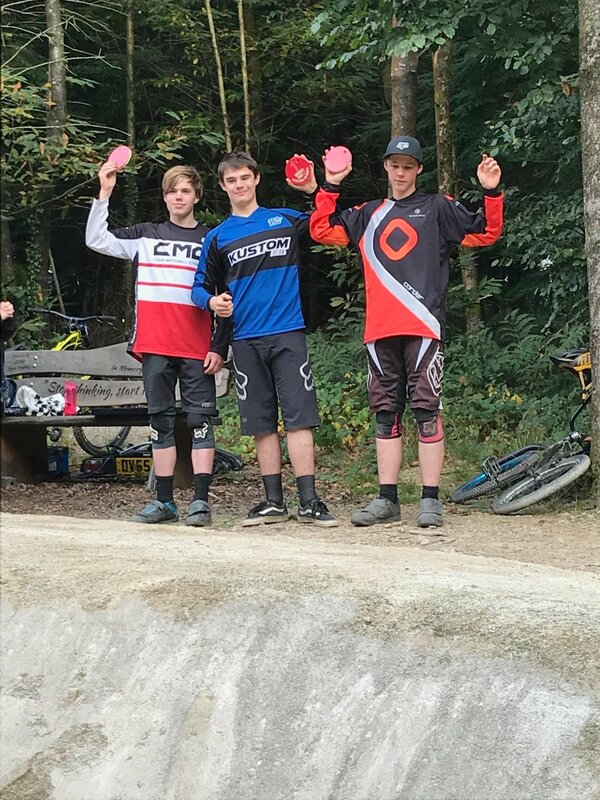 Southfork Racing’s MTB team was able to secure a lead on the first lap and the possibility of an overall series win for the North Devon team. The terrain now very muddy, meant that the easier B-line routes were just as difficult as the harder A-line routes. Tired legs along with faces covered in mud made the whole race harder. The sun managed to shine in the afternoon, however this was too late and the whole course was one big muddy track, which sapped a riders energy very quickly. The fun race was won by Lee Mason with Taw Velo’s Nick Rowell managing 6th on the day. Southfork Racing’s Pete Dawe got 2nd place on the day, ensuring 1st place in the overall series with Nick Butler 4th (3rd overall) ad Sean Cannock 19th. Taw Velo rider Darren Armstrong secured his highest placing of the series so far with 12th place and Graham Garnsworthy also managed his highest placing coming in at 17th. The next event for the North Devon riders will be round 1 of the British Cycling MTB Cross-Country Series in Nottingham on the 28th and 29th March before returning to the Newnham track on the 18th and 19th April for round 2. Sunday, 11th January saw riders from North Devon heading down to Plymouth for Round 1 of the Soggy Bottom XC Series at Newnham Park. In total over 170 riders took part in a number of different races and lengths during the course of the day. The mountain bike course was a mixture of steep descents covered with tree routes, boulders and at one point a cold water crossing. It ran across farm land and natural obstacles, the course was designed to test the riders abilities and endurance in race conditions. Taw Velo had an excellent turn out for both the adult and youth section of the club with a variety of ages from the under 8s through to the Grand Vets. The morning started with the under 13s and 10s race, run over a shorter course length and duration of 20 mins involved around 30 riders. Taw Velo's Ben Rowell, competing in his first race, made a charge for the first ascent to put him in second place. Holding out for the duration, Ben could not quite match the speed of first place rider Seth Owen and ended up,settling for second place, followed by Chuck Harmer in 4th and Edward Armstrong 5th. Ellen Garnsworthy managed to get 2nd place in the under 10s girls section of the race. Fin Mead also in his first race had a spectacular off, whilst descending through the tree line, managed to jump back on his bike and get a respectable 5th place in the under 10s boys category. Max Standen made an impressive start to his first mountain bike race in the under 8s category. He lead straight from the start and managed to open up a gap of more a minute on his first lap to nearest rival. Due to his determination an addition lap had to be added to ensure that the full duration of the race would be run. In the end his efforts were rewarded with a first place finish. The next race was now over the full course length and involve all obstacles, descents and a gruelling long climb over a 1.5 kilometre distance, consisting of both tarmac, gravel road and grass. A number of different categories including, fun, youth, sport male, elite and juvenile meant 92 competitors lined up for the start of the race. Jack Hewlett representing sport male managed an impressive 3rd place during the one and a half-hour long race. In the Youth male category, George Armstrong fought a tough battle along side Gabriel Cox from Certini and challenged him for 1st place. In the end Gabriel managed to hold out and retain 1st with George taking second place. The next race to start was Grand Vet and Vet male and included 66 riders. Taw Velo had a good team covering each category and achieved some good places. Darren Armstrong managed 19th, Graham Garnsworthy 35th in the Vet section, Sean Hewlett 8th in the Grand vet. Pete Dawe from Southfork racing achieved 1st place in the event. Simon Harmer suffered a mechanical problem during the first lap in a challenge to be first across the bridge. Deterioration of the course meant the the challenging down hill sections were littered with twisty and slippery tree roots. This meant riders had to be aware of the obstacles when trying to over take other riders and back markers.